A sword created in the image of one of the ultimate dragon's perilous claws. It hungers to consume all of light and darkness in oblivion. 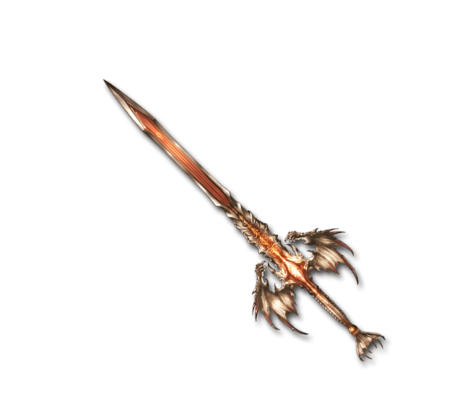 All things are in flux; destruction and rebirth are one, but this sword transcends them all. Supernova Massive elemental damage to a foe. Element ATK Up buff based on weapon element. This page was last modified on 20 November 2018, at 12:38.